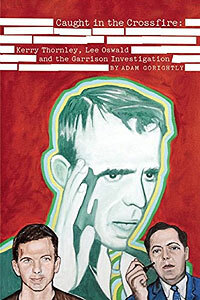 The above interview of RAW on Aleister Crowley was a real eye opener for me when I initially heard it back in the 90s, as RAW was the first observer (that I recall) who drew a comparison between Crowley’s portrait of Lam and the alien gray illustration on the cover of Whitley Strieber’s Communion (Amazon), which of course suggested that maybe dear old Uncle Al had once upon a time summoned certain entities (of the gray skin Zeta Reticuli variety) onto the earth plane that over the last few decades have been abducting and probing and doing such things that alien grays are wont to do. Crowley's Lam vs. Strieber's Gray Alien. The obvious difference between Lam, and Strieber’s alien gray, is the eyes. However, Fortean researcher Regan Lee made a keen observation recently pointing out that if you look above Lam’s eyes you will see alien gray eyes on his forehead, and that once you notice this, it’s impossible NOT to see them. Lam—as the story goes—was the apparent product of a magick ritual called the Amalantrah Working that Crowley performed way back in 1917. There are even those who suspect that Crowley intentionally opened a Stargate by the practice of such ritual workings which allowed the likes of Lam and other otherworldly entities a passageway onto the earth-plane. It was through a similar Crowleyean ritual that RAW made contact with what he perceived as entities from the star system Sirius—but that’s a rabbit hole we won’t go any further with at the moment. RAW's article on Aleister Crowley in The Realist, September-October 1971 issue. Courtesy of the Discordian Archives. As noted in the Youtube interview, RAW’s interest in Crowley dated back many years, and he in fact first wrote about the Great Beast in 1971 for Paul Krassner’s The Realist. A noted protégé of Crowley’s was Jack Parsons, a renowned rocket scientist and co-founder of Jet Propulsions Laboratory. In 1946—with the aid of the future founder of Scientology, L. Ron Hubbard—the two men contacted beings not unlike Crowley’s Lam while performing a series of rituals called the Babalon Working in California’s Mojave Desert, a hotbed of UFO activity throughout the early days of UFO sightings. Around the time that Hubbard and Parsons began the Babalon Working, a lady named Marjorie Cameron showed up at Parsons’ house (also known as The Parsonage), which served as the OTO Agape Lodge headquarters for Southern California, as well as a notorious bohemian hangout and purported drug den. A couple weeks after arriving at The Parsonage, Cameron claimed that she witnessed a silver cigar shaped UFO. To Parsons this incident was a sign that Cameron was the chosen one with whom to conduct the Babalon Working, the intent of which was to create a “child” in the spiritual realms who would be “called down” and directed it into the womb of a female volunteer. When born, this child would incarnate the forces of Babalon and become the Scarlet Woman of Revelations, symbolizing the dawning of the Age of Horus, the coming new age. Jack Parsons and Marjorie Cameron. As with Crowley, RAW was also an admirer of Jack Parsons, as can be seen in the following Youtube interview, which is broken up into four parts. 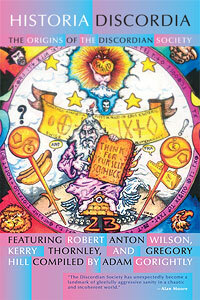 This entry was posted in audio, book, interview, robert anton wilson, video, writings. Bookmark the permalink. Praise Bob! Fall down on your knees! !